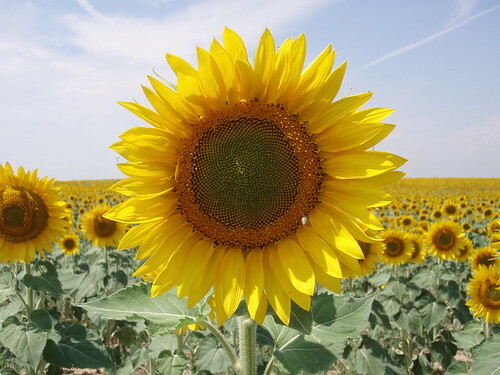 How does your school stand out from the crowd? The Marketing Cycle is a practical marketing model that can help you both focus on what is really important to your community and communicate it well. Wow – the last few years have seen amazing change in the range of schools! When I went to school, most areas had a simple choice – state comprehensives or private schools. Now parents and students can choose from free schools, stand-alone academies, academy chains, for profit and not for profit private schools, grammar school extensions, University Technical Colleges, studio schools, co-operative schools, specialist schools, and City Technology Colleges. By the time this article is posted online there will probably be a few more! A major challenge therefore at the moment for any schools is to stand out from all the new competition to attract parents and students. How do you ensure your school is even considered by people in your community? What do you say to parents who ask why they should choose your school? How do you convince them that you can do what you say you do? In industry, commerce, charities and some areas of the public sector such as universities, these questions have existed for a long time and a lot of time and effort is invested by marketing departments into answering them. For these organisations, marketing is not just about advertising and organising events, it is about researching potential customers, finding out their needs and wishes and communicating effectively using a wide range of methods including social media, websites and by forming community groups. Schools are hindered in taking on this challenge by their size, by the speed of change at the moment and by their lack of experience. Classical marketing books and training are not always easy to relate to schools and there are very specific challenges in working with parents, teachers and students! One simple model to consider adopting from the wider world though is the Marketing Cycle. This is a simple overview of the processes needed to truly ‘market’ your school. It has a couple of other benefits – it also acts as a quick checklist to see if you are looking at all aspects of marketing, and it has the side effect of producing a lot of exciting news from around your school that you can celebrate. What does the cycle contain? Market research: Starting at the top, the first step is to identify those important to you (for schools prospective parents come first!) and then find out from them what they want from a school. It is easy to make assumptions in this area but it really helps to interview and survey current and prospective parents and analyse their needs. You should also ask them how they found out about your school and why they chose it. It’s often amazing how little OFSTED and league tables are listed well below personal recommendations from friends, family and faith communities! Meeting Market Needs: What does your school do that meets the needs of prospective parents? Perhaps more importantly, what do you not do? Schools can sometimes miss simple ways of attracting more students – I’ve seen schools change bus routes, arrange before and after-school care and add more sporting activities or vocational courses to successfully attract more students. Message and Brand Development: This is an important stage where you identify a small number (often 3-4) of key statements about your schools and a simple visual design. The statements can be thought of as the ‘pitch’ from the television show ‘Dragon’s Den’ – what would you say to a parent if you had 30 seconds to get them to consider your school for their child? There is no ‘magic’ about developing these messages – my tip would be to involve as many members of the school community as possible in agreeing them. Have a look at the websites of a few ‘outstanding’ schools to see how they have decided what they stand for and make it clear to all. Evidence Gathering: Choosing a school for their child is perhaps one of the most important decisions in a parent’s life. They aren’t going to do this because a school has a good slogan or a natty website. They want a regular feed of real stories that show the school aspires to achieve what it says in its key messages. For a school, distilling the stories that support the key messages (whether exam results, sporting success or overcoming challenges) can be difficult, but often highly enjoyable – the chance to involve students, staff and parents in writing, picture taking, videoing and more. And these are the stories of success that will improve morale and help all staff realise the impact they have! Just remember that you need to seek permission from parents before using their children in marketing. Using Mass Media: Once the stories of success are gathered, you can then communicate them back to your community. Remember your market research though – use the advertising, social media, publications and so on that worked last time. Remember that there are interesting and cost effective ways of using picture and video as well as written copy – from putting up posters in shops owned by parents to encouraging students to post stories about their school on their social media sites. Also, given the evidence you have gathered to persuade parents, you can make adverts as much as possible about students and as little as possible about teaching policies and practice! Relationship Management: This is a bit different to the previous stage – it is about how you take someone from interest in your school to the point where they commit to sending their child, and beyond to become an active supporter and recruiter. Schools need to keep in touch with and help anyone who has asked for a prospectus, attended an event or spoken to a member of staff. This may require a change in culture in some areas – staff need to be trained to take names, you need to have somewhere to store them, and schools need to be a little less ‘British’ and send out mailshots and emails more regularly. More flexibility with visits is also a good idea – I was extremely impressed with a (heavily oversubscribed) local primary school that arranged a meeting between a parent and the head within 2 days. 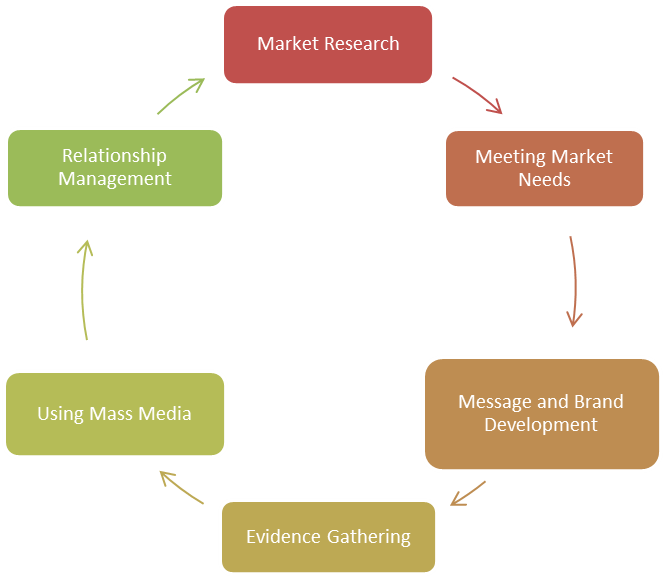 Once you have gone through the cycle, you can reflect and carry out market research again to plan the next steps! Simon Hepburn spent 10 years working in marketing in industry, commerce and consultancy. This included managing a £1.5m advertising budget for Reed and advising Vodafone on improving its image as an employer. During this time he achieved an MBA from Henley Management College. He then retrained at the Institute of Education, London and has spent the last 6 years teaching in both state and private schools. He has observed at first hand the challenges faced by schools and advised on a range of marketing activities. Simon is the author of ‘An Introduction to Marketing for Schools’ and runs the advice website www.marketingadviceforschools.com.